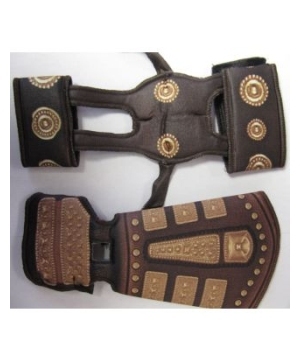 Add a tough look to you Dastan Costume with these gauntlets! 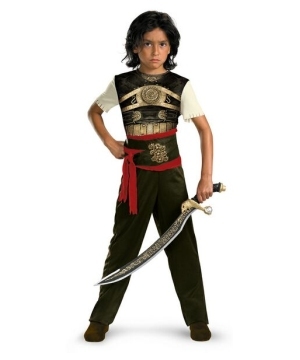 The Prince of Persia Dastan Boys Gauntlets includes fabric brown foam gauntlets with printed gold details. Available in One Size fits most boys. This is an officially licensed Prince of Persia (TM) product. Please note product does not exactly matches the picture shown. 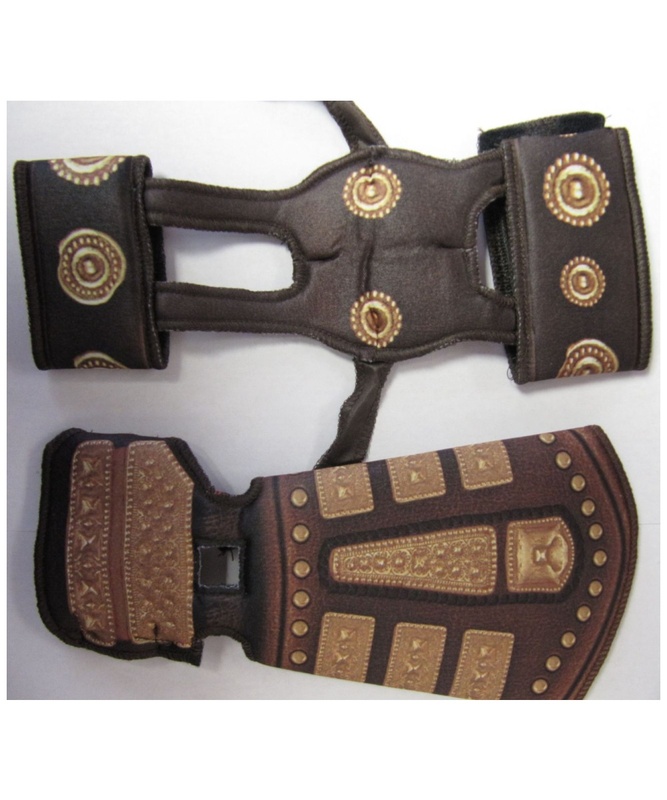 These are printed gauntlets. Review(s) for " Prince Of Persia Dastan Boys Gauntlet"